ISTANBUL, TURKEY - FEBRUARY 21: Time-lapse view of the traffic on the water from the Galata Bridge on February 21, 2016 in Istanbul, Turkey. 4k00:16TRAT-THAILANDl; March 25, 2019; Boonsiri High Speed Catamaran Ferries service Ferry speed power boat for people via various routings in Koh Mak, Koh Kood at Trat province of Thailand. video footage. 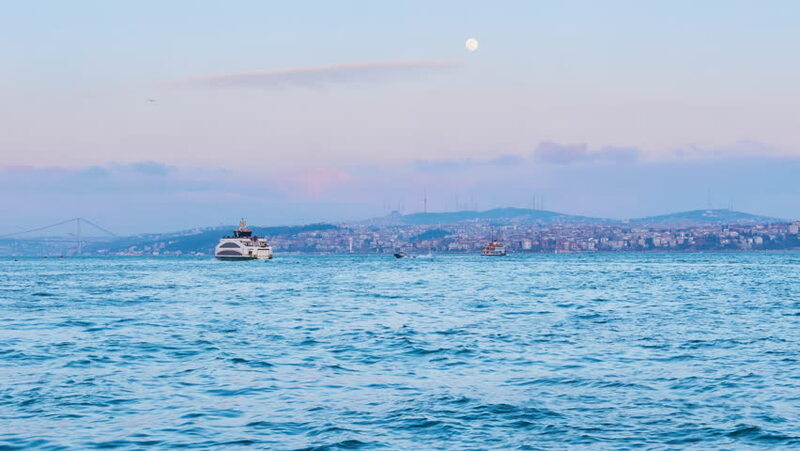 4k00:15ISTANBUL, TURKEY - FEBRUARY 21, 2016: Time-lapse view of the traffic on the water from the Galata Bridge on February 21, 2016 in Istanbul, Turkey. hd00:21Container cargo ship off the coast of Norway. Aksla at the city of Alesund , Norway.